KTR-896 — Epitope Diagnostics, Inc. 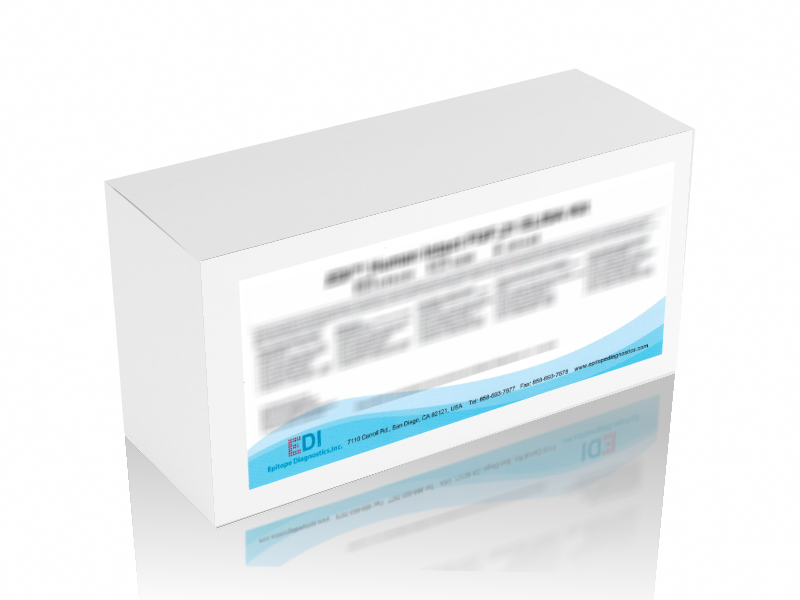 This test kit is intended for use in the quantitative determination of free (not actin complex bound) Vitamin D Binding Protein (VDBP, also known as GC Globulin) in human serum and plasma. This kit is for research use only. Vitamin D-binding protein (DBP) is a 58 kDa circulating glycoprotein secreted by the liver. It binds about 85% to 90% of circulating 25- OH-D2/3 and 1,25-(OH)2-D3, regulates the bioavailability of active vitamin D, and transports them to target organs. There is only less than one percent 25-OH D2/3 is in the free form in the circulation. The full length DBP contains 476-amino acids, including a 16-amino acid signal sequence. Biologically, DBP may involve directly and indirectly in regulating bone metabolism. Circulating DBP also binds to actin at 1:1 molecule ratio, while this protein complex is removed by kidney. In patient with trauma, sepsis or multiple organ failure, DBP concentration decreases. Urine DBP is reported to be a biomarker of major renal event in patient undergoing coronary angiography.